Every so often I think of a quality improvement technique that might help me when I’m home cleaning and organizing, or doing some of my other wifely duties. The kitchen is truly a woman’s version of the “man cave,” and I like to keep my kitchen work space organized for efficiency. 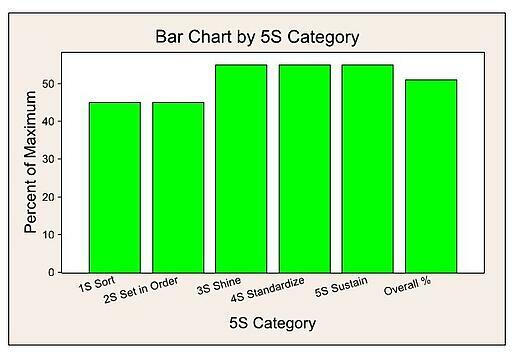 A 5S audit is a quality improvement technique developed to standardize a workplace for effectiveness by tracking the results of the following 5 phases: sort, set in order, shine, standardize, and sustain. It’s really the perfect tool for keeping an organized kitchen. And believe me—I’m no Top Chef, but 5S helps me keep my kitchen in order! Ask yourself: Are all the items involved really necessary? Here’s your chance to get rid of that broken hand blender and throw away the three extra discolored spatulas you have hanging around. Do you rarely use that wine chiller that’s taking up precious counter space? Put all kitchen gadgets you use only occasionally in a pantry closet, reserving counter space for the kitchen appliances you use most. Ask yourself: Is each kitchen tool close to where it will be used? Are items clearly labeled? 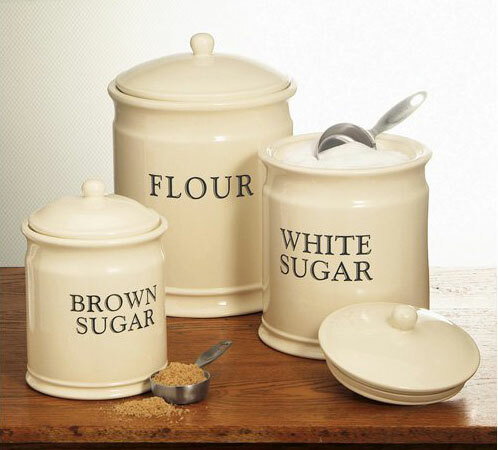 To prevent the salt-instead-of-sugar problem when making a pumpkin pie, clearly label ingredients if you have them kept in countertop canisters. I realized I was keeping dishwashing detergent in the hallway pantry, rather than in the cabinet right next to the dishwasher. Keep your flow path simplified to optimize the time you spend preparing foods by finding all the ingredients you need for a recipe before you begin. This can also help you prevent those last-minute trips to the grocery store. After cooking, it can be tempting to leave the pile of dishes in the sink and wash them later. It’s important to tackle these messes as you cook. If you have downtime waiting for something to finish cooking, load the dishwasher or wipe off a messy countertop. This will drastically decrease your clean up time after cooking. Leaving your kitchen untidy for several days could increase your chances for foodborne illnesses! And in the case of a factory, a messy workspace can hide signs that equipment or process steps are malfunctioning. Is everyone in your family aware of standard kitchen procedures? My husband will love this one: Does everyone know the optimal way to load a dishwasher so that the most dishes can be loaded and cleaned correctly? And in the case of manufacturing, keeping procedures correctly documented and work stations identical will help keep duties standardized. Can these standards be maintained? Are your kitchen tools being stored in their correct places? Are you always thinking of new and better ways of completing a process or using a new tool? While these questions can help you eliminate wasteful behavior in your kitchen, they were originally developed to help you improve processes within your job and your company. Taking note of these considerations (on paper and discussing in meetings) can help you get organized and improve productivity. Companion by Minitab offers a 5S audit form that makes it easy to evaluate process conditions relative to best practices, while tracking your ongoing implementation of 5S improvement and controls. Companion rolls up your 5S data into a bar chart that shows how well your process is scoring in specific categories—so you know what areas of your process are running fine, and which ones might need some work. Click here to try Companion free for 30 days. Are there other areas and processes within your home that could benefit from a 5S audit?